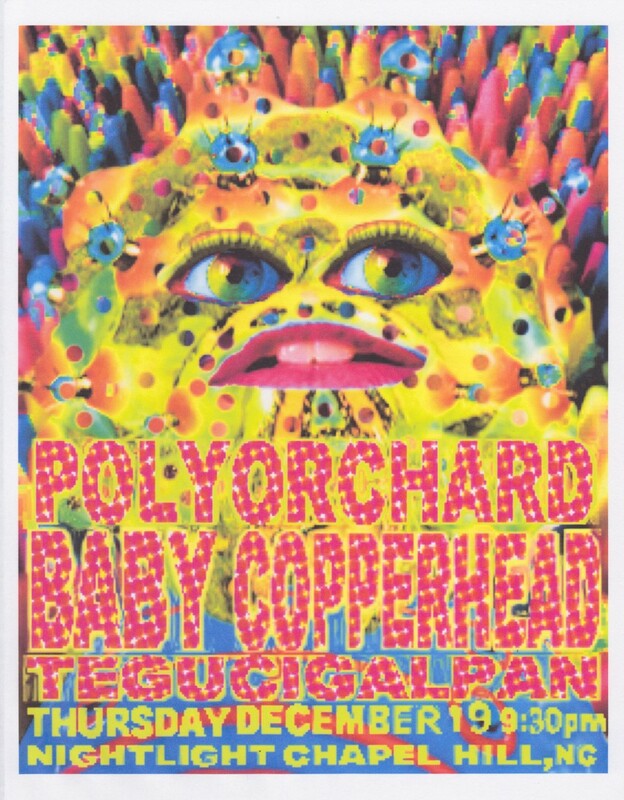 We’ll be celebrating Polyorchard’s first anniversary at the Nightlight on December 19th with my good friend Baby Copperhead and Tegucigalpan. Baby Copperhead put out an excellent new album this year that you should definitely go buy. Joining me in Polyorchard will be Jeb Bishop, Dan Ruccia, Chris Eubank, Sara Bloo, Jamie Keesecker, Jason Bivins, and other kookie kids. This has been a good year for free improvisation in the Triangle. Legendary trombonist Jeb Bishop has landed in the area, and improviser Eugene Chadbourne hosted a month-long residency at Neptune’s last summer. But the highlight of this tiny yet vibrant scene has been the collective Polyorchard, which celebrates its one-year anniversary this week. The ensemble may be young, but it includes longstanding improvisers in its ranks—Bishop, bassist (and Polyorchard founder) David Menestres, cellist Chris Eubank, composer and violist Dan Ruccia, only by way of example. Previous Previous post: Chadsgiving 2013!